One of the things delaying the rules is..
how to write a fool-proof protocol for sorting-out this kind of thing! There are four squadrons of ships here. Two Persian, with red squares, and two Greek. 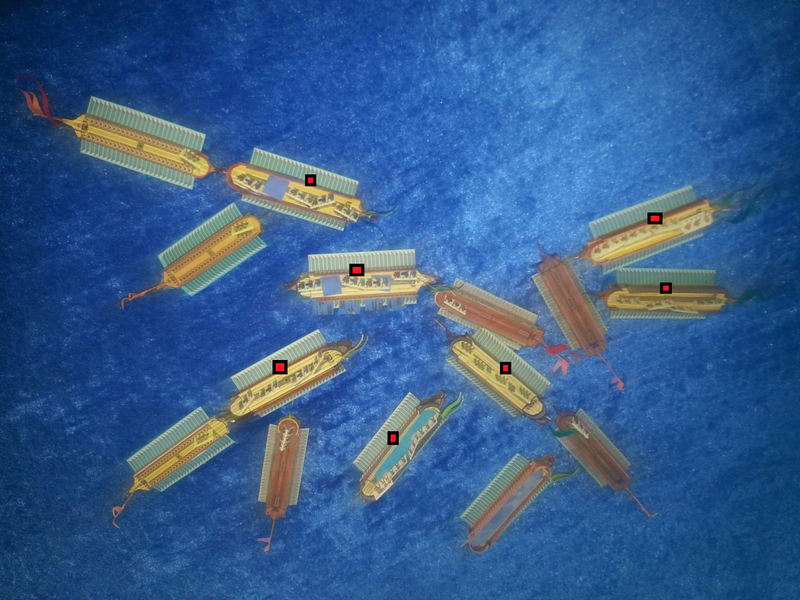 There are 15 ships, two of which are swamped, two of which are damaged. Some have rammed and then in turn been rammed. The dilemma is that one wants the capability to create such chaotic melees of ships but this then creates the problem of adjudicating the fight. Who does what and with what and to whom and when do they do it.......??????? I would suggest going by crew or captain ratings for priority. Or whom attacked first and working that way.